I-74 W to Exit 169 US 52 W, L on Harrison Brookville Rd, L on SR 46, R on Chappelow Hill Rd, stay to R on Chappelow Hill Rd 1 mile on right. Rare find in Sunman Dearborn Schools! 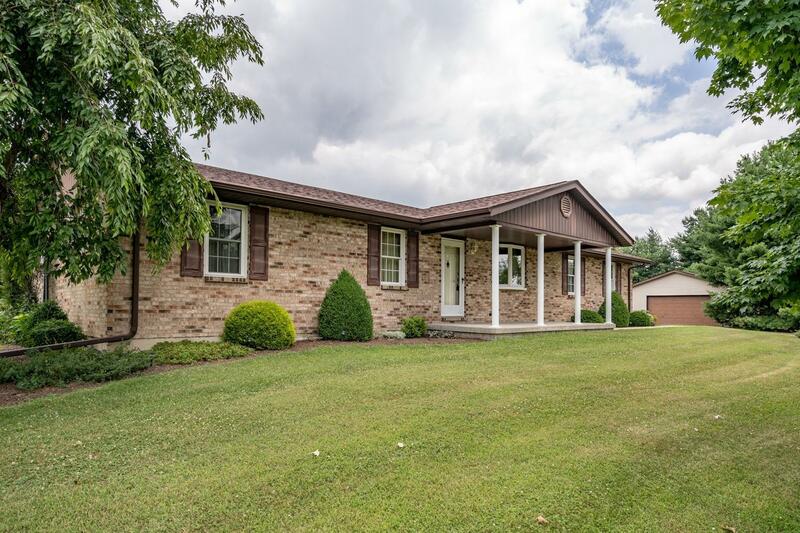 Solid Brick Ranch on 3.8 flat, useable acres with 2 car garage, 2 car (22x25) detached garage, and 30x25 pole building! New Roof 2015, baths updated in 2016, Enjoy incredible views from the composite deck!